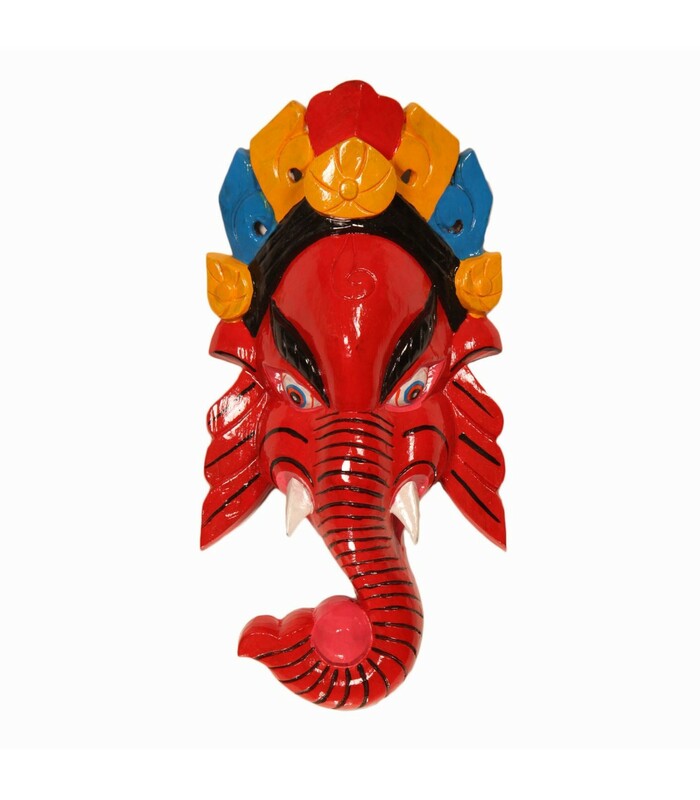 Ganesha is worshiped prior to any god or goddess or starting any new work by Hindus. Ganesha is the symbolism of enlightenment. 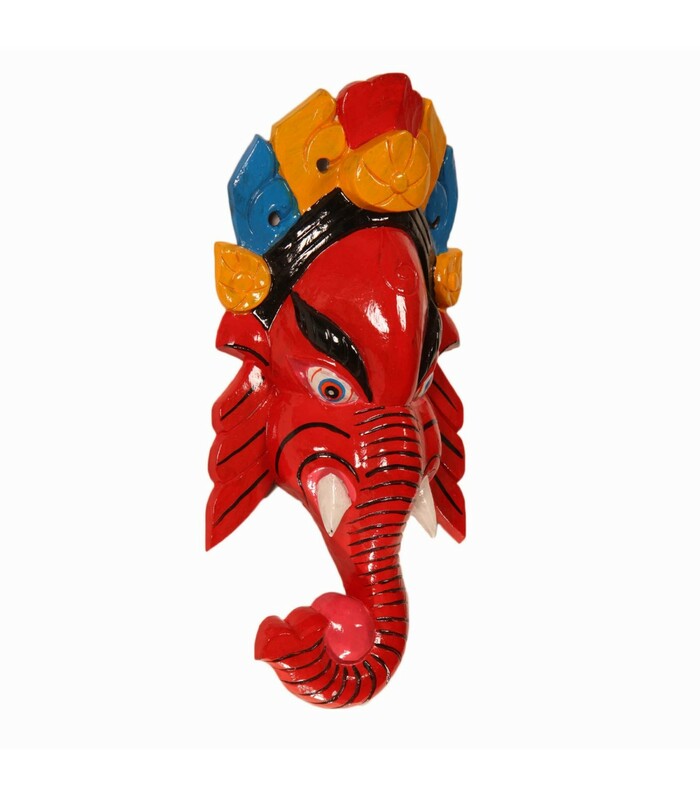 This red painted wooden Ganesha head is hand crafted in Nepal by skilled local craftsmen. Hanging this in your wall will brighten up your whole room.